Push once to turn on, push again to turn off, push again to turn the other side on, one last push and it’s off again! 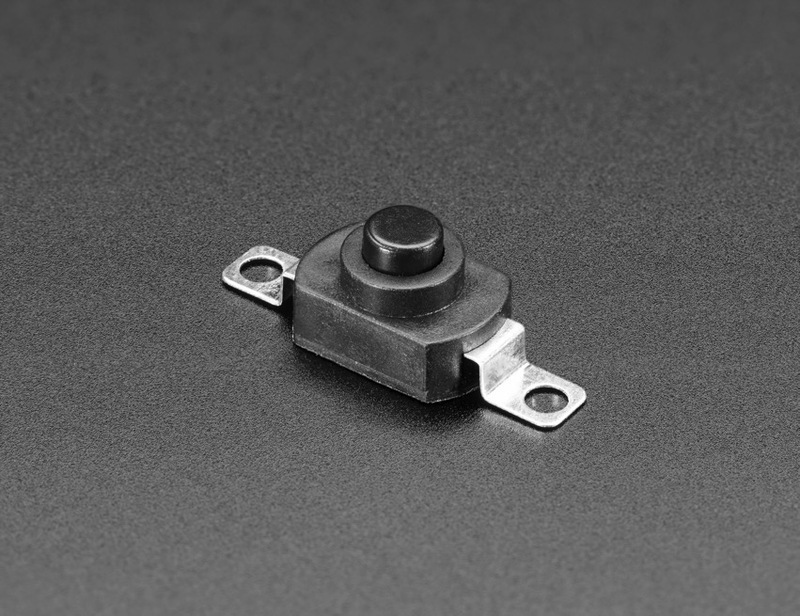 It’s basically a push-button toggle switch that connects and disconnects. 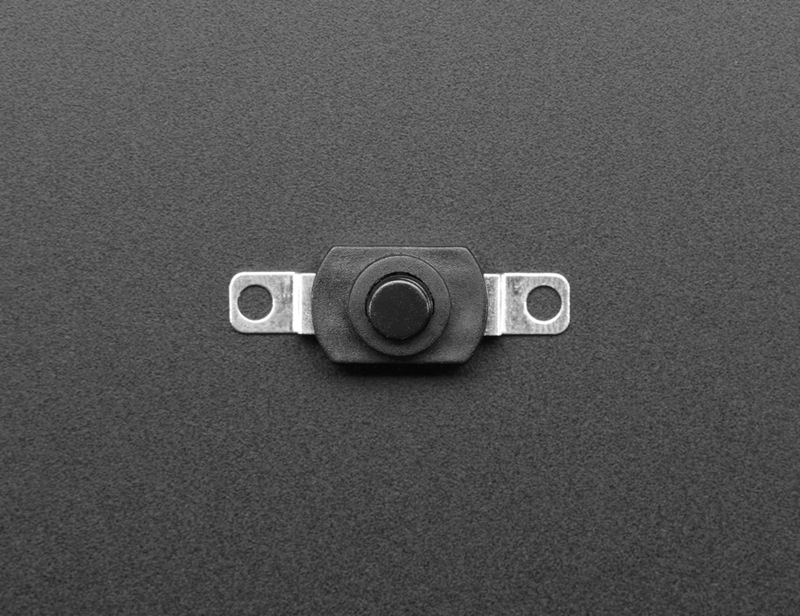 This clicky Mini On/Off Button switch makes a great power switch or mode toggler. They’re often referred to as ‘flashlight’ switches because you see them used in small flashlights. Can reliably handle up to 500mA and up to 12VDC. This is a really satisfying switch with large flat contacts that are easy to solder or clip on to. 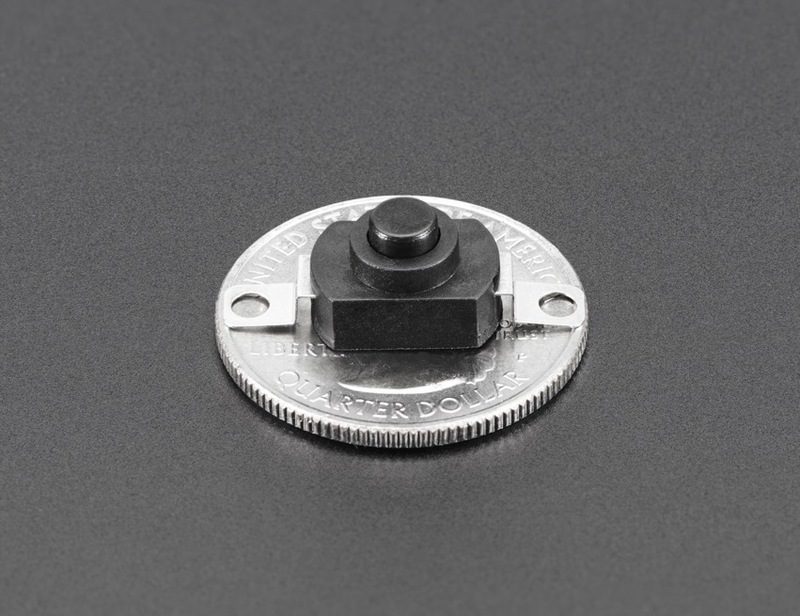 Best of all, there’s holes in the two contacts, so you could use this in a wearable project where the switch is sewn using conductive thread.